The research is pretty conclusive that spending time outdoors is good for people. The fresh air, the sunlight, the chance to connect with our natural surroundings are all good for physical and mental health. But time outdoors is good for plants, too, as my mother demonstrated this summer. For a couple of years, she’s had a succulent dish that we put together. 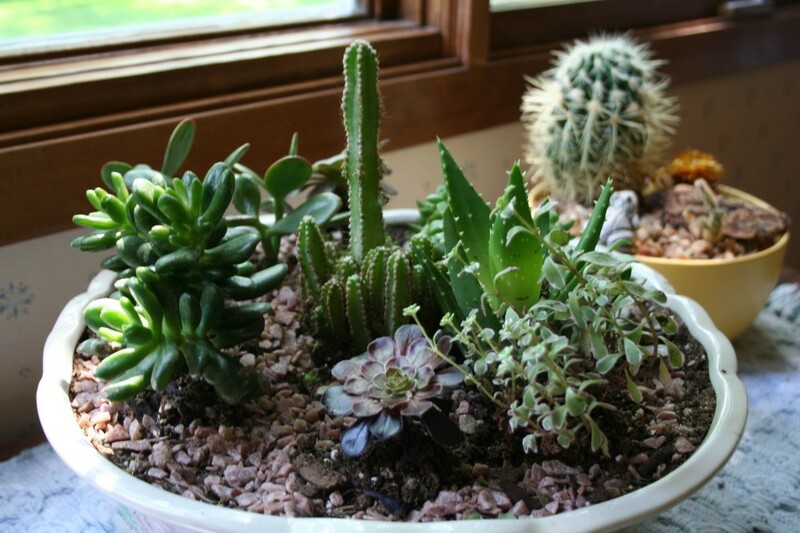 She was inspired by one of the articles in Northern Gardener. The dish has struggled a bit, partly because the plants in it had different watering needs. This summer, she decided to move the dish out to her back patio. The patio faces south, is somewhat protected from wind by the house and a privacy fence, and, of course, is open to natural rain. 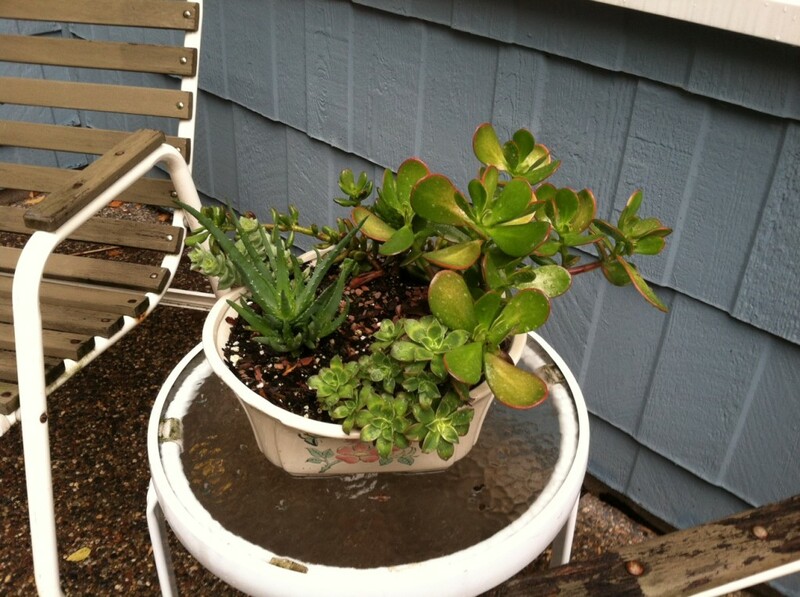 Here’s what the succulent dish looked like a couple of weeks ago just before she moved it back into the house. I had a similar experience a few years ago when I put a hoya plant outdoors for the summer. The plant, which had never bloomed before, suddenly was spouting cool, waxy blooms. Interestingly, once it started blooming, it now blooms every year, near the end of the summer. I still put the plant outdoors and it is very happy. In a recent article on herbs, Nancy Leasman calls these plants “commuters” because they travel in and out of the house. Do you have any commuter plants? I had a hoya that my parents couldn’t get to bloom but it did great for me hanging just out of the sunlight in a west facing window and I didn’t water it much. The problem is that the blooms ,while beautiful ,stink terribly at night and my husband hated the plant so I finally sold it at a garage sale . I haven’t noticed that much of a smell on my blooms, but they usually bloom outdoors. I hardly water mine at all in the house and they seem to do great. What a fun plant!